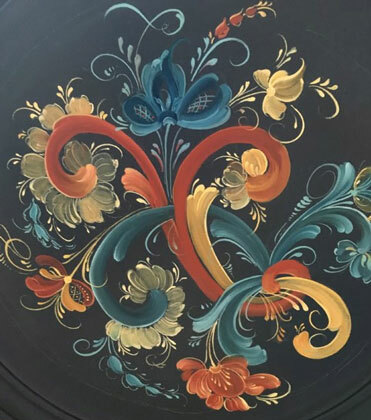 Students in this class will learn rosemaling in the Telemark style, learning the basics of Telemark rosemaling; backgrounding, design, scrolls, flowers, leaves and stems. All the elements of a Telemark design. Students are encouraged to bring painted tagboard, or Masonite on which to practice. The project will be a 14” plate which will be completed by the end of the class. The design can also be painted on tag board or Masonite if preferred. A supply list will be sent upon registration. Supplies: The plate is available from Montzka Woodworking, style to be determined. Plan to order your plate early. Students in this class will paint a plaque with either Velkommen or Welcome. The design will be painted in the Telemark style. The plaque is available from Mike Lusk # 517. You may order it from Mike or I will bring them for class (save shipping). An alternative project will be a sandwich board from Mike Lusk # 507C. Supplies: A supply list will be sent upon registration. 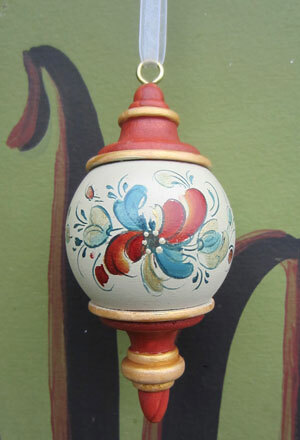 In this fun one day class, students will have the opportunity to paint holiday ornaments in several rosemaling styles. Ornaments can be used to decorate the house, hang on the Xmas tree or be given away as gifts. Rosemaled Xmas ornaments make wonderful stocking stuffers! Supplies: A Supply Fee is paid to the instructor at the conclusion of class. The amount will depend on the number and type of wood ornaments used during class. Clarice will have a selection of ornaments to choose from. Students are also welcome to bring their own wood ornaments. In this class, students will have the opportunity to make a fine “tollekniv” – a Norwegian work knife. Students will work with “Flame or masur birch” Norwegian birch burl and German leather. At the end of the class, students will have their own knife and sheath. Supplies: $95. The supply fee is paid to the instructor at the conclusion of class. 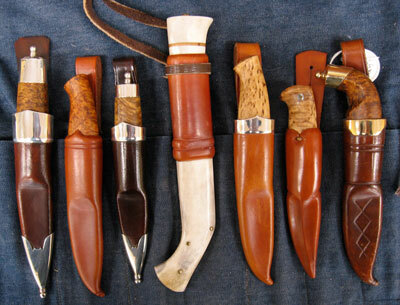 In this class, students will have the opportunity to make a fine “tollekniv”—a Norwegian work knife. Students will work with “Flame or masur birch” Norwegian birch burl and German leather. 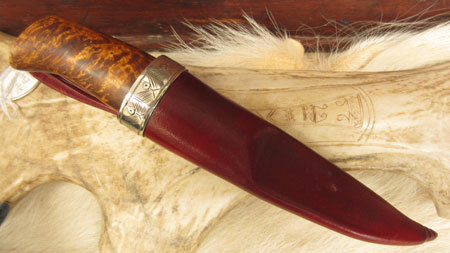 At the end of the class, students will have their own knife and sheath. Students will complete the same knife as in the Milan 3 day class. Depending on the students progress, it may be necessary to go a little longer on Sunday. 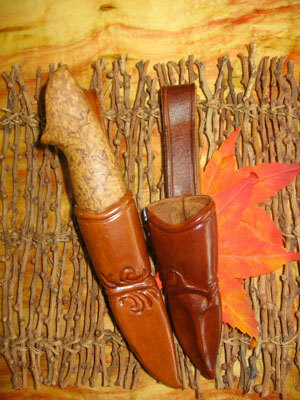 At the end of the class, students will have their own knife and sheath. Returning students will have the opportunity to hone their skills, using more advanced techniques that take more time to learn and execute. 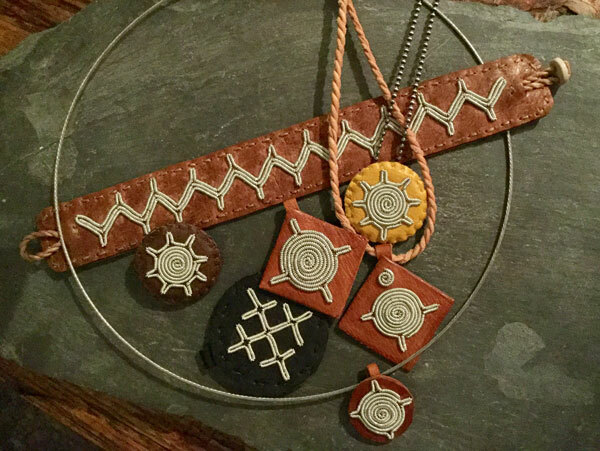 Students will practice details including making silver-tipped Bunad knives, using bone and birch bark stacked handles, Damascus blades, and the use of sterling silver, birch bark, and reindeer horn. Supplies: $120. The supply fee is paid to the instructor at the conclusion of class. For questions, please call Gene Tokheim at 320-769-2142. 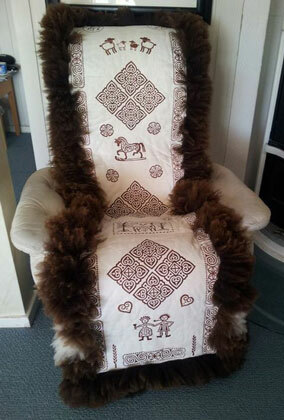 In this class, students will have the choice of sewing either a 2 piece baby pocket or a comfy Norwegian chair covering. The baby snug pocket is the same as the chair covering with an extra step. The skinnfeller is folded backward to create a snug pocket for a baby. Skinfeller is a Norwegian craft of sewing sheep skins together and then decorating with birch blocks and natural boiled tree bark to leave a beautiful image. The sheep blankets were passed on as a wedding gift to the daughter of the family. The skills learnt in this class are transferable to items such as mittens, boots, wristlets, and blankets. Please go to www.youtube.com and enter “Karen Aakre skinnfeller” in the search engine to watch a short program on Prairie Public Broadcasting. Supplies: A $50 Supply Fee is paid to the instructor at the conclusion of class. The Supply Fee does not include the 2 skins required to complete the project. The pelts are high quality skins imported from Norway. The leather is soft and thin which makes sewing easier. Cheaper sheep rugs generally have thicker skins and are difficult to sew. Norwegian skins cost between $130 and $200 each. Karen will order the skins and can get a discount. A $200 deposit for the skins needs to be made on registration. Please contact Karen at 218-731-0072 to discuss the skins. Go to www.scandinavianskins.com to view skins. Come and be AMAZED at what wet wood can do! 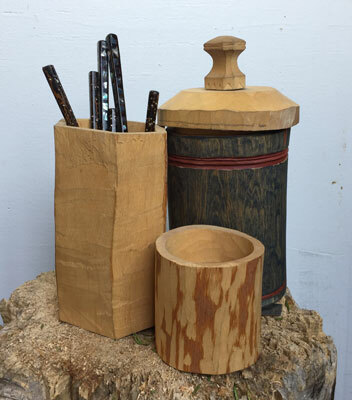 In three days learn to carve and create one of the oldest types of wooden containers, that easily predates any wooden barrel. Class begins with the selecting and cutting of local fresh green smaller diameter logs, hollowing of the log using special augers and carving down the log using a variety of hand tools and shaving horses to create the desired shape of container. You will then learn to expertly fit a bottom to the hollowed log and then begin to make a lid while the magic happens. We will also cover painting and decorating of your shrink box. A supply list will be sent upon enrollment. Supplies: A $20 Supply Fee is paid to the instructor at the conclusion of class. candleholders, baskets, and hanging birds and other decorations were also commonly made. 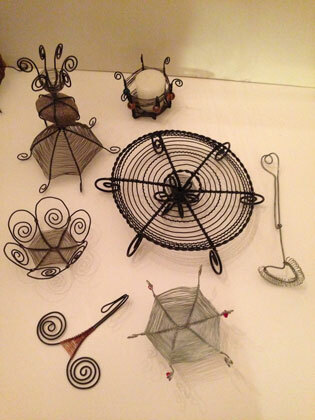 The design of wire items is really limited only by one’s imagination. Supplies: $15. The Supply Fee is paid to the instructor at the conclusion of class. Supply List: Everything is supplied by the instructor. Wheat is a symbol of goodness and prosperity. 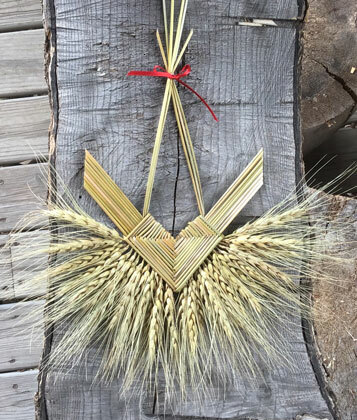 Wheat weaving is an ancient folk art that developed in agrarian societies that grows wheat. Decorations made from wheat are used to celebrate the harvest, honor the earth for a good crop and decorate the home. Supplies: Wheat is supplied and included in the tuition fee. Supply List: 12” ruler, old bath towel, small spray bottle, Elmer’s glue, small bottle of bleach and scissors (good sewing scissors are not necessary).